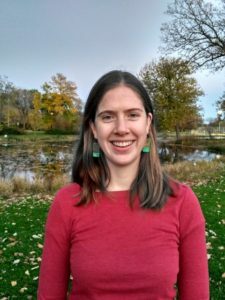 I am a forest and plant community ecologist, broadly interested in the patterns and drivers of change in ecosystems, disturbance ecology, and management-oriented research. I combine observational and experimental field studies with ecological modeling to understand the systems that I work in. My current research takes advantage of historical datasets and modern National Park Service inventory and monitoring data to understand plant community change in the Great Lakes Region. I spend most of my free time with friends and family, and will take any opportunity to be outside. You’ll frequently find me biking, hiking, botanizing, canoeing, cross-country skiing, or gardening. I enjoy learning from other cultures, especially through music. Some of my favorite music comes from Mali, where I spent two years as a Peace Corps Volunteer. Paulson, A.K., S. Sanders, J. Kirschbaum, and D.M. Waller. 2016. Post-settlement ecological changes in the forests of the Great Lakes National Parks. Ecosphere 7 (10): e01490. Waller, D.M., J. Ash, A.K. Paulson, and G. Sonnier. 2015. Letter to the editor: Tempering threats to temperate forests. Science 350 (6262): 747-748.